Spirulina is one of the most nutritiously rich foods in the world. The deep green powder derived from fresh water algae contains some of the highest concentrations of protein, minerals, vitamins and essential fatty acids. Spirulina has powerful detox and antimicrobial properties, it’s great for the immune system and supports many important body functions related to the brain, heart, blood, muscles etc. Like chia seeds it used to be a staple food of the Aztecs in ancient Mexico, who used it for its high concentration of protein and for instant energy. 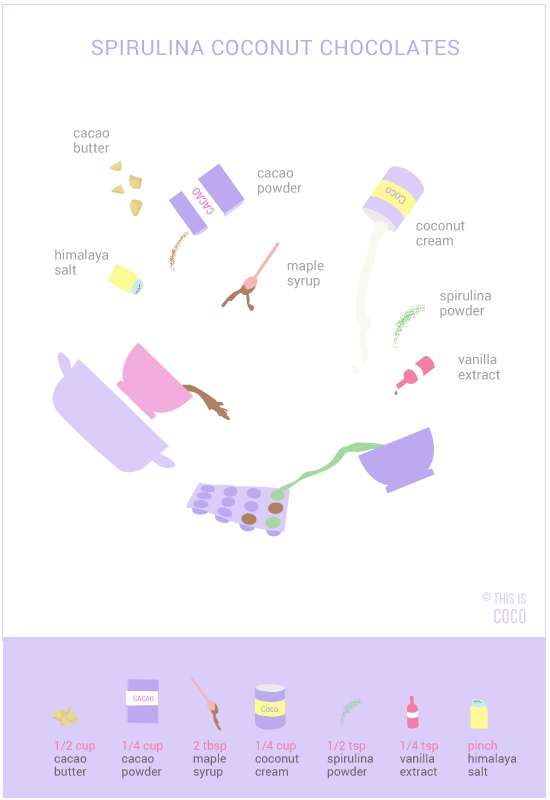 It can’t be a coincidence that the other ingredient in today’s recipe was also a favorite of the Aztecs, renowned for its strong medicinal properties: C H O C O L A T E.
Besides being delicious, good quality chocolate is also super healthy due to its high levels of antioxidants. I usually take spirulina in smoothies, to blend it with different fruit, because its flavor isn’t its strongest asset. Then I found out that when you blend spirulina with chocolate, coconut and a sweetener, it actually becomes very tasty. 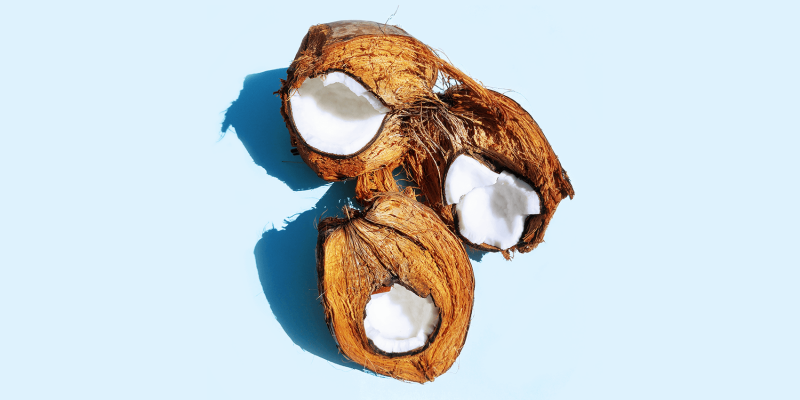 And that’s how these supercharged spirulina coconut chocolates were created! 1. Melt the cacao butter au bain marie over low heat. 2. Mix in the cacao powder and stir until it’s equally dissolved. 3. Add 1 tbsp of maple syrup while stirring. 4. Mix the coconut cream and spirulina powder with a mixer or food processor. 5. Add 1 tbsp of maple syrup, vanilla extract and pinch of salt and mix well. 6. Use a silicone mold for chocolates. Start with one layer of chocolate for half of the mold and one layer of coconut spirulina cream for the other half. I used different amounts to create each chocolate with its own look. I personally find the ones with equal amounts of chocolate and spirulina coconut cream or with more chocolate to have the best flavor combination. 7. Put the mold in the freezer for an hour to set, then pour the other layer on top. Return to the freezer and leave it there for 1-2 hours. 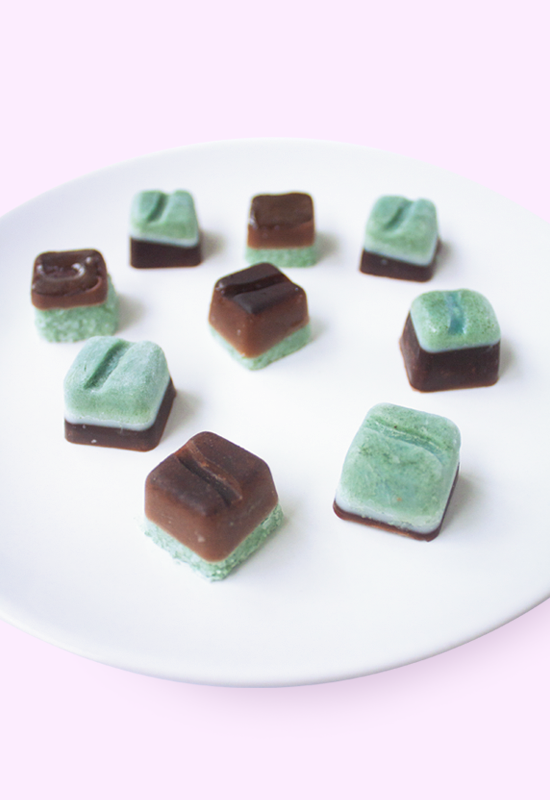 You can store these spirulina coconut chocolates in a container in the freezer.